Indoor/Outdoor Speakers, Call Buttons & Emergency Notifications. Integrate with existing phone systems & security systems. to incorporate any type of paging intercom system solution into your existing business phone system and/or surveillance solution. Our products range from outdoor vandal-resistant horns to stylish round ceiling speakers and everything in-between. Indoor/outdoor speakers including vandal-resistant horns, stylish ceiling speakers, and wall speakers. in the world. Every office paging system is unique, which is why we work closely with Valcom engineers to provide customized paging and intercom system solutions to meet the specific needs of your business. Automatic Sound Leveling- paging systems sample background noise and adjust paging volume accordingly. Sound masking for HIPAA requirements, reduce the possibility of conversations being overheard in private offices, waiting rooms, examining rooms, and pharmacy. Ability to configure the paging system to page automatically when system personnel is unavailable. Single or multi-zone intercom systems with the ability to tailor pages to designated areas to avoid work disruptions. Integrated door lock/unlock security entry control with hands-free communication and remote call-in options. Talkback Paging provides the ability for a two-way conversation. Its remote speakers are equipped with a call button and/or emergency button. Talkback with Call Buttons. Highly Recommended for Schools. 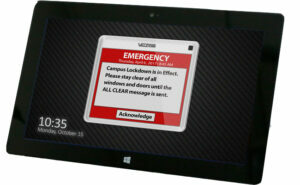 VL520 has two built-in flashers to offer visual emergency alerts as well. The visual alert aspect is an important feature that will help your organization remain ADA compliant. 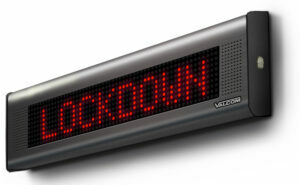 Valcom’s VL520 also distributes high-quality audio such as music, lockdown/emergency information, and paging and has the ability to switch to a Talkback Speaker for two-way conversations. Add call-in buttons to provide a one-touch option to call into the administrative office or use it for emergency purposes. seconds with a single launch point. Modes of communications include computer screen pops, IP telephone paging/alerts, social media alerts, mobile app alert, digital signage, emergency help points, call boxes, text, email, fire alarms, and so much more. paging needs are, we will provide your business with turnkey or customized paging solutions from the design level to installation, programming, training, and support. Contact us today for more information about our quality, affordable paging systems. Thank you so much for the great work. Dave did an awesome job and I couldn't be any happier...thanks again for the excellent job!"